OUR KIDS NEED YOUR HELP!!! * We are currently raising funds for 2018, to support Camp Perthes USA in June, and Camp Perthes Australia end of September. Please help us reach our GOAL! Perthes Kids Foundation is a certified 501c3 non-profit organization (ID#: 47-3841121), so all donations are tax deductible. Thank you for your continued support and contributions. Every little bit helps! 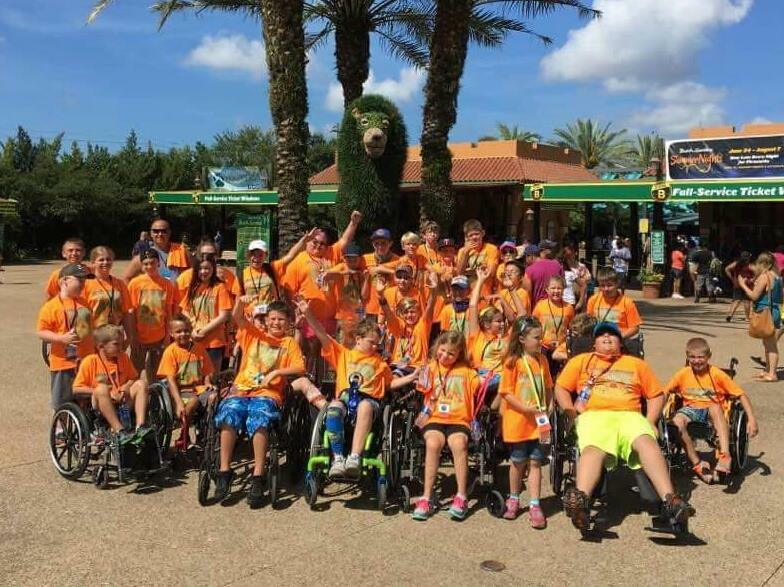 Camp Perthes USA will take place in Irvine, California, June 18-22, for children between the ages of 7 and 15 who are afflicted with Legg-Calvé-Perthes Disease, a rare degenerative hip bone disease that makes it painful to walk and play. 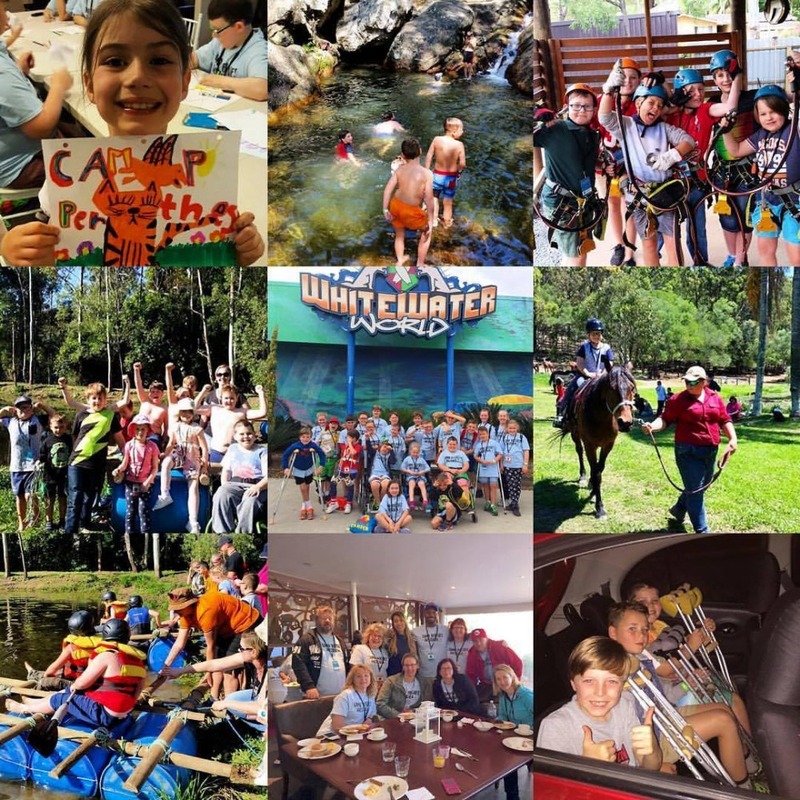 The camp promotes confidence skills, social development, education and therapeutic/outdoor activities where kids with LCPD, and their entire families, can meet each other and simply have fun in a positive and safe environment. No one should ever feel alone when dealing with Perthes, which is why this special camp was created. Legg-Calvé-Perthes Disease . The name sounds even more obscure than the condition already is, but what is far from unfamiliar to anyone and everyone, is the idea of chronic physical pain. 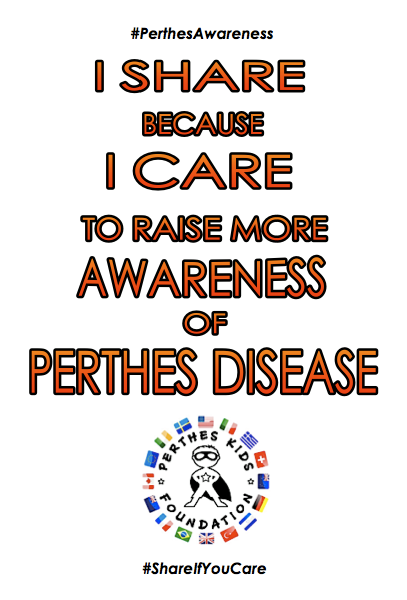 There is still no known cause for Perthes, and still no cure. The mere thought of it is perhaps too much for most adults, but for the children stricken with the disease, such pain is a daily reality, to perform even the most basic, and taken for granted actions, like walking, running or jumping. 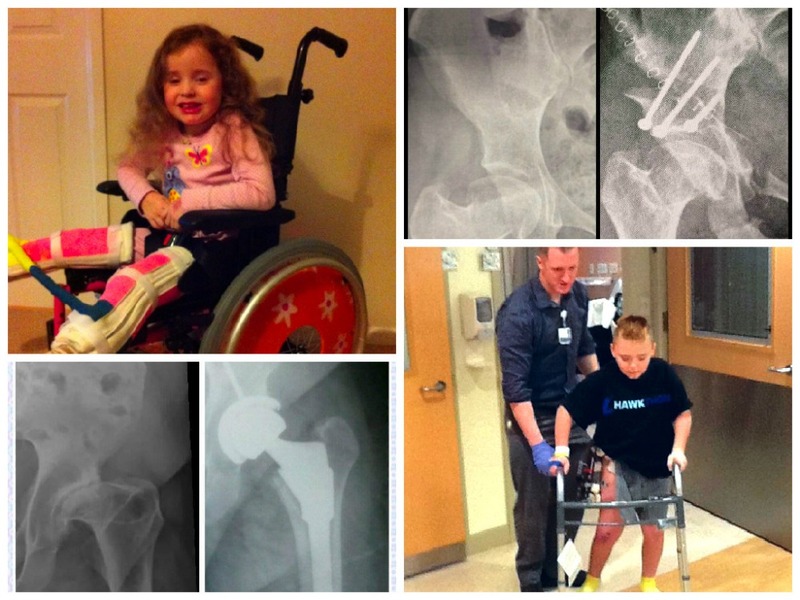 LCPD is a rare (1 in 21,000 children, between ages 3-12), degenerative hip bone disorder (osteochondritis) that makes it painful for children to play like "normal", and often confines them to a childhood in wheelchairs, casts, leg braces, crutches and other physical restrictions, and can even lead to multiple surgeries. The debilitating effects of this condition can continue well into adulthood. While it is not life threatening, it is certainly life altering, with restricted mobility in a child's daily life as something to be endured, instead of fully enjoyed. The emotional pain from Perthes can be just as overwhelming as the physical. 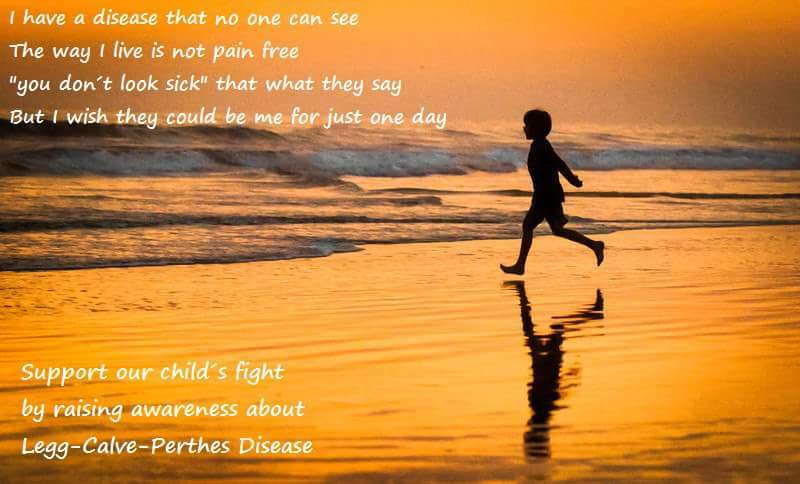 For such a debilitating condition affecting the most precious and valuable of our population, our children, it is still little known, but efforts to raise awareness have been ongoing, particularly by the Perthes Kids Foundation (501c3). Founded in 2007 by Earl Cole, unanimous winner of the same year's Fiji-set season of CBS's long-running reality series 'Survivor', he himself suffered from LCPD as a child. 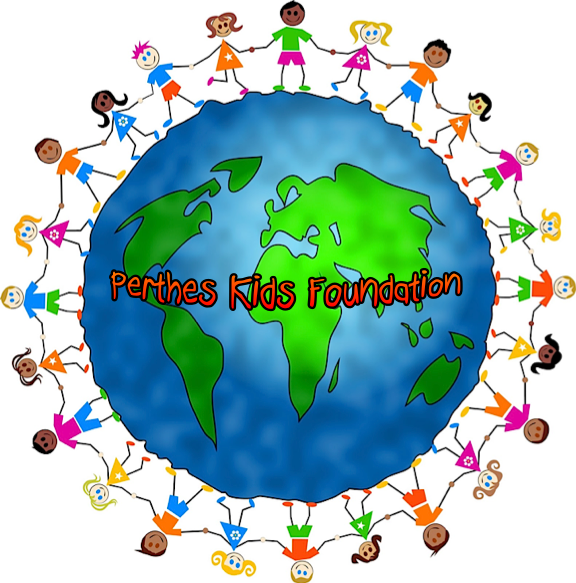 In addition to raising global awareness of the disease itself, the Perthes Kids Foundation's more important aim is to empower those young "Survivors", to reinforce that they, too, can go on to live an outgoing, successful and fulfilling life, regardless of any challenges that come their way. Cole has always credited what he went through as a child with Perthes, as one of the reasons he grew into the strong, determined, adventurous and empathetic individual he is today. 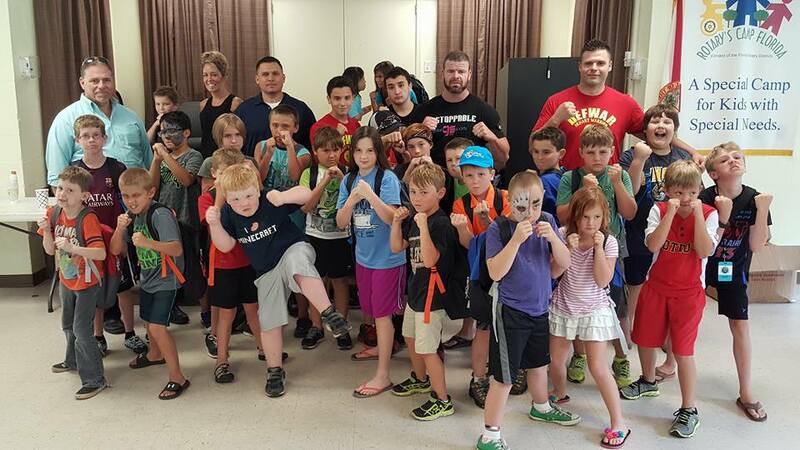 In 2013 Cole established the annual Camp Perthes summer camp in Florida, solely dedicated to kids with LCPD. In only a couple of years, the camp has grown into a globally popular destination for families affected by the disease. Children and parents have traveled from far and wide (Canada, Egypt, Hawaii, California, New York, Texas and more) to participate in the week of family outings, activities, and general adventure within a supportive and inspiring environment and community. The camp's popularity has grown so much each year that this year's 5th annual summer event took place at Lake Hughes, California, from July 14-18 (the first year in partnership with The Painted Turtle, founded by the late actor, Paul Newman), and the second Camp Perthes Australia in Queensland (Gold Coast) took place September 24-29. 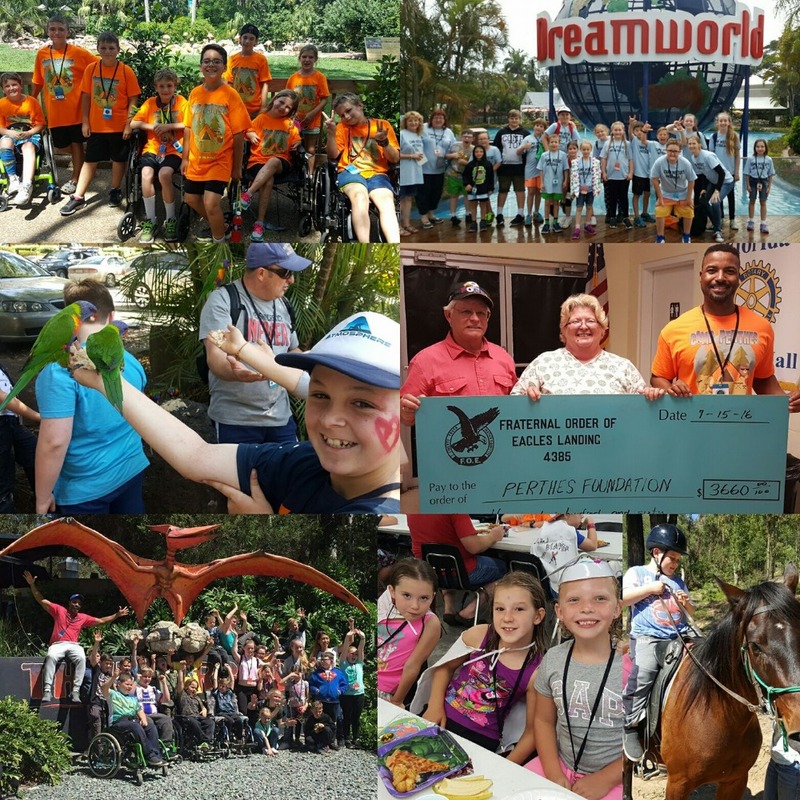 As Camp Perthes continues in the USA and in Australia this year, and continues to expand to other cities around the world, we are planning to bring that same fun and magic that our USA kids get to experience. We are ever more in need of the generous support from caring individuals, humanitarians, socially responsible businesses and local health communities. We want to continue making a huge impact on our Perthes Kids, as well as, their families that have to endure in the journey. Since medical treatment is already expensive, we want to keep the cost very low for parents to send their child to Camp Perthes. 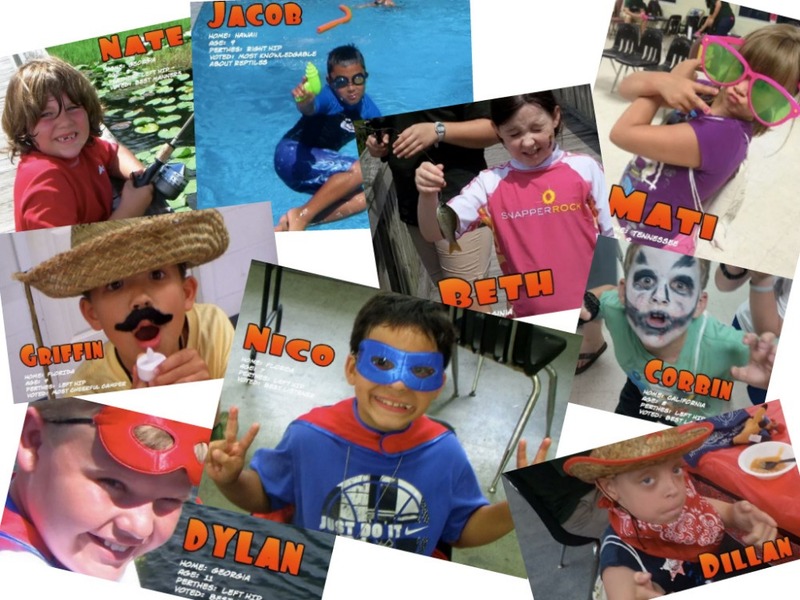 Our stated goal of $10,000 is intended to be a "kickstarter" to help keep up with the increasing costs and number of kids, as Camp Perthes grows beyond the States and further builds a global family of its valiant, spirited little campers, who are every bit as brave and inspiring as any heroes seen in the movies. 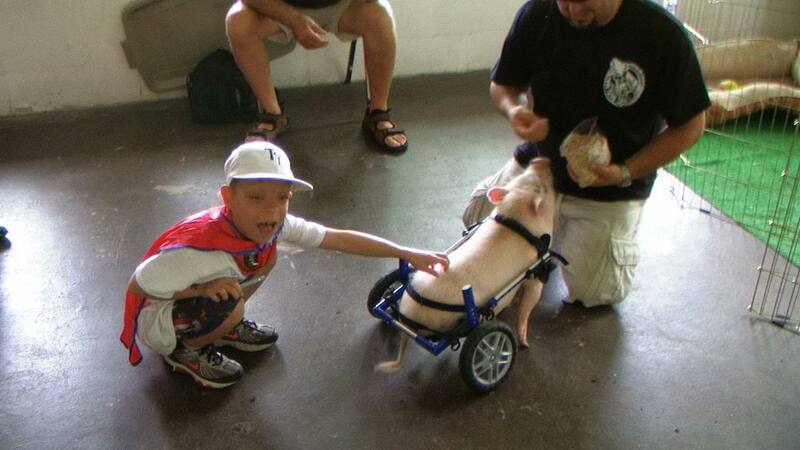 Chris P. Bacon, a pig born with a leg disability and uses a custom made wheelchair, came to visit Camp Perthes in 2013 to inspire the kids that anything is possible. Thank you for your past giving to help children with Legg-Calve-Perthes disease. We still need your support! Please consider donating to our charity, so we can get a step closer to reaching our goal... a goal we set over 2 years ago. We're almost there! Of course, it is challenging raising funds and awareness for a disease that only affects 1 out of every 100,000 kids, but we keep pushing anyway. These kids are worth it, and we hope you feel the same. 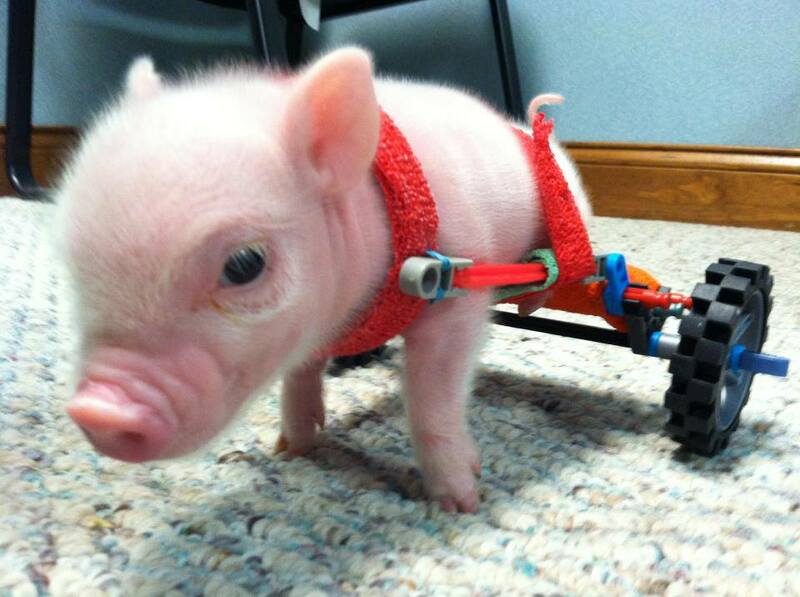 With your help, we're sure we can finally reach, or even exceed, our initial goal. All donations are tax deductible. Thank you again for your support.